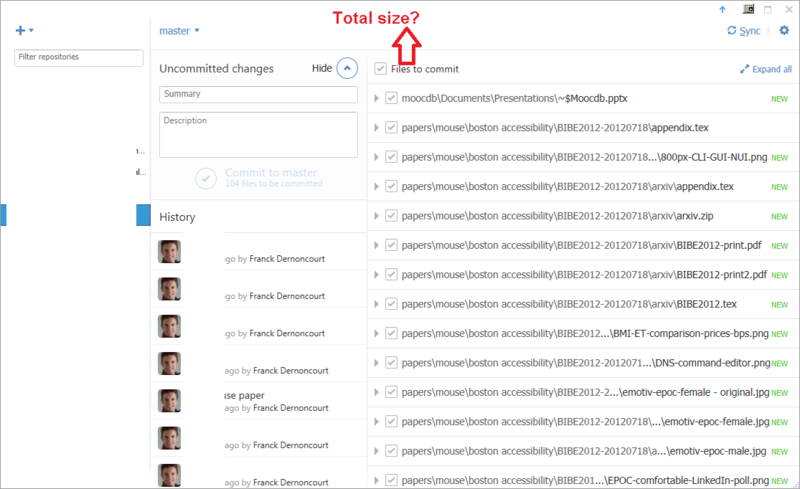 When committing in GitHub for Windows, is there any way to see the total size of the files that are being committed? I am aware that we can see the repository size on the GitHub website. There is no way to see the total size of the files that are being committed in GitHub for Windows. How to use github via HTTPS?